Hello, and welcome to my page dedicated to Ryoga, my favorite fictional "eternal lost boy" (I have to say fictional because I know at least one real one, you know who you are). 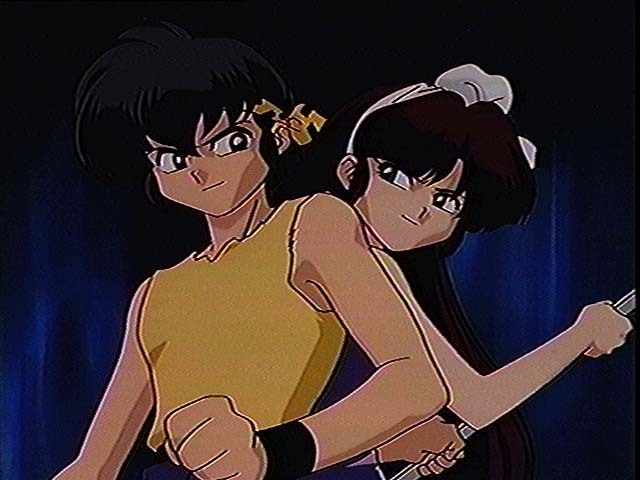 In any case, Ryoga is (in my humble opinion) the best male character in Rumiko Takahashi's anime/manga series Ranma 1/2 Who is Ryoga Hibiki? Instead of having me writing another character profile (which, knowing me, won't be that great), let me refer you to various character profiles already on the web, most of which look really spiffy with nifty pictures and such and will give you all the character info you could possibly want to know. Dreamfire's Ryoga Bio Page Really spiffy story with pictures too! "The More Things Change" The net-famous fic that's good for just about any character. Kudos to the author, really! "The Pursuit of Happiness" The sequel to TMTC also good. Looking for audio clips of Ryoga's famous lines and not-so-witty (but oh-so-fun) quips? Remember this page (and just about all of my pages) are still under contruction. There should be more coming, it's just a matter of when. Hear ye! Hear ye! I've just made a small gallery of Ryouga manga scans! All logos, pictures, and creative materials on this site copyright of their respective creators. Ryoga Hibiki belongs to Rumiko Takahashi (as well as Viz Communications, Kitty TV etc). No copyright infringement intended.